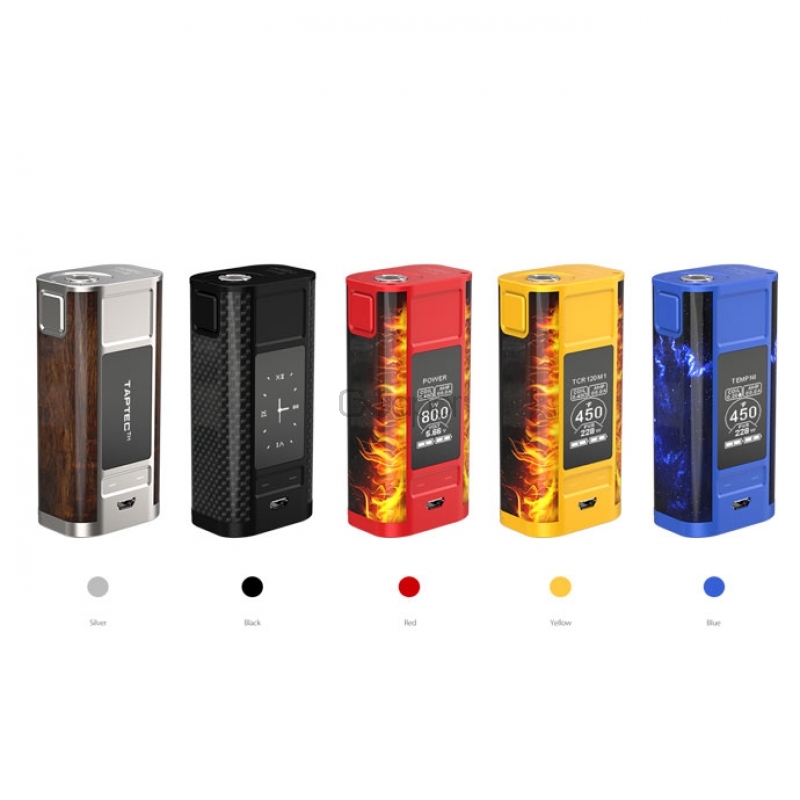 Joyetech Cuboid TAP box mod comes with developed TAP buttons, paired with the pressure-sensitive system and vibration motor. The vibration motor is built in such a way that it is partially off-balanced. Once you tap the panel, it vibrates to indicate that the adjustment is made. It is powered by dual 18650 cells and support maximum output up to 228W. It is equipped with a 1.3 inch OLED display, allowing for easily monitor and modify with ease. CUBOID TAP comes with the upgradeable firmware. Having the latest firmware, real-time clock, preheat, custom logo, and reverse charging are all available.